How do we know that the Nazis murdered the majority of Jews sent to Auschwitz-Birkenau? Do the so-called “Death Books” of Auschwitz show the actual number of victims? Auschwitz-Birkenau was not a center of extermination for the Jews of Poland and Europe. Collections of camp death certifications (so-called “Death Books”) list only 69,000 deaths in the entire inmate population—all from natural causes. The Auschwitz-Birkenau Death Books do not reflect the nearly 900,000 Jews murdered in the gas chambers upon arrival. Only prisoners in the slave labor pool (including some 230,000 Jews) were given numbers; only these prisoners had their death certificates listed in the Death Books. What are the Auschwitz Death Books? The Death Books were death certificate compilations of Auschwitz-Birkenau prisoners who were registered, given numbers, and who died there. The Death Books only include deaths between July 29, 1941, and December 31, 1943. Although several volumes did not survive the war, 346 of them did survive in the Gestapo office at Auschwitz-Birkenau. The death certificates record the date of issue, first and last names, birth information (date and place), and death information (date, time, place, and cause). The cause of death was usually fictitious. In January 1945, when the Russians liberated Auschwitz-Birkenau they took the Death Books back with them to Moscow. Their existence was unknown until they were released for use by researchers in 1989. In 1991, they were repatriated to the Auschwitz-Birkenau State Museum. How we know that some 900,000 Jews were murdered in the gas chambers, even without their number being listed in Nazi records? Rudolf Höss was the commandant of Auschwitz-Birkenau from mid-1941 to December 1943, after which he was promoted to the administrative office that supervised all of the camps. In early May 1944, Höss briefly returned to Auschwitz-Birkenau to take up his command again during the Hungarian Action. After the war, Höss was arrested, tried, convicted and put to death for his role in the Final Solution. Before he was executed he wrote his memoirs, in which he noted: “Originally, all the Jews transported to [Auschwitz-Birkenau] . . . were to be destroyed without exception, according to Himmler’s orders.” However, because of labor needs in the armaments industry, by 1942 the Nazis saved some able-bodied Jews as workers. According to Höss: “The railways cars were unloaded one after another. After depositing their baggage, the Jews had to individually pass in front of an SS doctor, who decided on their physical fitness as they marched past him. Those who were considered able-bodied were immediately escorted into the camp in small groups. Jews selected for gassing were taken as quietly as possible to the crematories.” Only those selected for labor were given numbers; Jews sent to the gas chambers were not. Pery Broad, a member of the Gestapo at Auschwitz-Birkenau, described how those selected for slave labor were treated upon selection: “Once fashionable and lively women and girls, they now had their heads shorn and a prisoner’s number tattooed on their left forearms; and they were clothed in sack-like, blue and white striped smocks.” These prisoners were the ones accounted for in the Death Books. Like the inventory for a business, these prisoners were now the property of the Third Reich. As a result, they needed to be tracked like inventory: their number and location could be accounted for at any given time. The books do not record the 900,000 Jewish men, women, and children who were sent straight to the gas chambers. 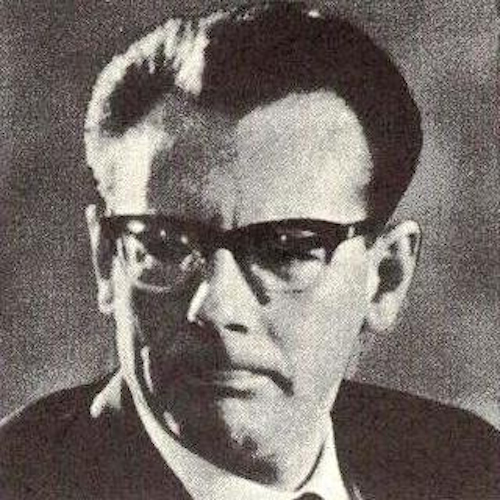 Pery Broad, Procès de Francfort (1964-1965). By Ryza Jane, BSPSYCH grad published on en:WP under Creative Commons license (https://en.wikipedia.org/wiki/File:Perybroad.jpg) [CC BY-SA 3.0 (http://creativecommons.org/licenses/by-sa/3.0)], via Wikimedia Commons. Franciszek Piper, a Polish scholar and historian, conducted extensive research on the total number of people that were sent to Auschwitz-Birkenau from all over Europe (from 1940 to 1945). Piper concluded that the total number of people sent to Auschwitz-Birkenau was at least 1,305,000. This figure included Jews, Gypsies, Soviet prisoners-of-war, and non-Jewish prisoners of other nationalities. As part of this figure, the total number of Jews sent to Auschwitz-Birkenau was about 1,095,000, of which at least 865,000 were murdered immediately. The remaining Jews—some 230,000—were admitted to the camp as slave laborers. Of those admitted as slave laborers, some 188,000 were transferred to other camps and so were not directly murdered at Auschwitz-Birkenau. Among these were Anne Frank and her sister, Margot, who died in the Bergen-Belsen concentration camp and Elie Wiesel who was liberated in Germany’s Buchenwald concentration camp. Holocaust deniers falsely assert that the Death Books reflect the total number of deaths in Auschwitz-Birkenau. The Death Books do not reflect the nearly 900,000 Jews who were murdered upon arrival at Auschwitz-Birkenau. Sometimes these arrivals were not even properly counted, much less registered. Only those included in the slave labor pool (including some 230,000 Jews) were given numbers; only these prisoners were listed in the Death Books. Mark Weber, “Pages from the Auschwitz Death Registry Volumes: Long-Hidden Death Certificates Discredit Extermination Claims,” Journal of Historical Review, Fall 1992, (Vol. 12, No. 3) at www.ihr.org/jhr/v12/v12p265_Weber.html. The majority of the registered prisoners in the Death Books were Roman Catholic (31,814 persons—46.8%) and Jewish (“Mosaic”) (29,125 persons—42.8%). Others belonged to the following denominations: Greek Orthodox (3.6%), Evangelical-Lutheran (3.4%), and Greek Catholic (1.6%). This “denomination” item is left blank on 1,275 (1.9%) death certificates. Mark Weber, “Pages from the Auschwitz Death Registry Volumes: Long-Hidden Death Certificates Discredit Extermination Claims,” Journal of Historical Review, Fall 1992, (Vol. 12, No. 3). Judge Charles Gray, Holocaust Denial on Trial, Trial Judgment (8.20, ii) citing David Irving, Speech given at Moers, Germany, March 9, 1990. Rudolph Höss, Death Dealer: The Memories of the SS Kommandant at Auschwitz, edited by Steven Paskuly (Prometheus books, 1992), pp. 34-35, 43-44. KL Auschwitz Seen by the SS (Auschwitz-Birkenau State Museum, 1995), pp. 132, 133. KL Auschwitz Seen by the SS (Auschwitz-Birkenau State Museum, 1995), p. 142. Robert Jan van Pelt, The Van Pelt Report (“IV Attestations, 1945-46”, note 275). Franciszek Piper, Auschwitz: How Many Perished Jews, Poles, Gypsies . . . (Krakow, 1994), pp. 51-57. Danuta Czech, Auschwitz Chronicle 1939-1945 (Henry Holt, 1997), p. 459.